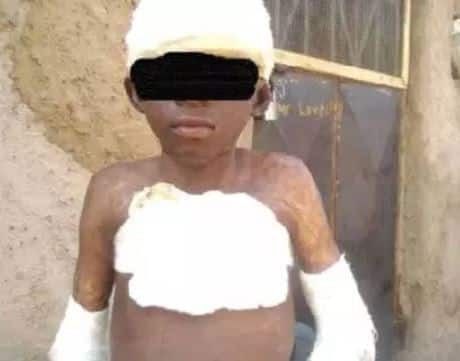 An 11-year-old boy in Bolgatanga in the Upper East Region, Maxwell Ayinbisa is still nursing his wounds over one year after a man poured petrol on him and set him ablaze for allegedly peeping at a woman in a bathroom. On 24 November 2017, Ayinbisa and two of his friends were sent by another to go and buy petrol from a filling station. According to Ayinbisa, on their way from the errand, a man accused him and his friends of peeping at a woman in a bathroom. He said his friends escaped leaving him behind. 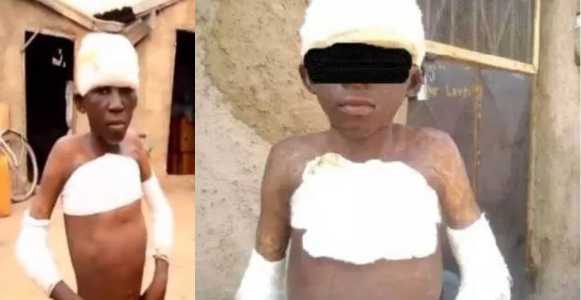 He was grabbed by his accuser, Nsobila John, who took the petrol in a gallon from him, poured it on him and struck a match setting him ablaze. 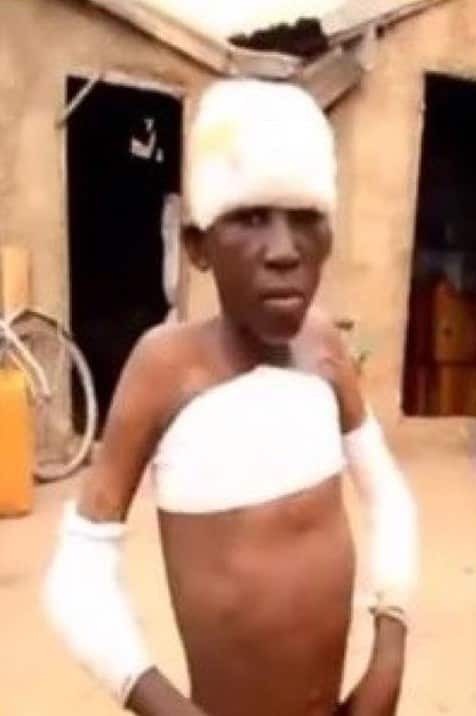 When Class News visited the family of the victim at Pobaga, a suburb of Bolgatanga in the Upper East Region, his head, chest and both hands were bandaged as offensive odour emanates from the wounds with whitish substance dripping from the wounds on his head. The father of the victim, Mustahpa Rahamani told Class News the suspect; Nsobila John after taking care of the initial cost of treatment of his son has abandoned him. The Bolgatanga Municipal Police Commander, DSP Samuel Punobyin told Class News the families of the victim and suspect had reached an agreement to settle the matter out of court. He noted that the suspect agreed to foot all medical expenses before he was granted bail. DSP Punobyin noted that the police are willing to process the suspect for court since he has reneged on his responsibility.